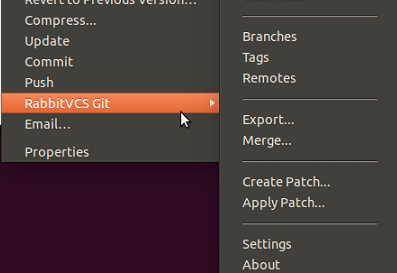 RabbitVCS is graphical user interface for all version control systems currently supported on Linux operating system. It makes the use of version control systems easy, because once installed, it get integrated into your current file manager and you can communicate with your version control system right from your file manager. It was originally called NautilusSvn because in start it used to work with Nautilus File manager only, but with the passage of time, it added support for all popular File managers and now it is considered a universal graphical interface to communicate with VCS via Linux file managers. The very first release of this app was made public in 2010. It is a feature rich, lightweight application, installation process is simple and it consumes very short amount of system resources. It is a must-have application for software developers. Using this tool, within couple of mouse clicks, you can get your version control related tasks performed.